Last night, I attended a '90s-themed party at Old Town Tavern in Goleta. As I busted an awkward move on the dance floor to Freak Nasty's 1997 classic "Da Dip," I thought about two things. First, I thought about what an amazing dancer I am. This thought - though certainly untrue - often occurs to me after a few drinks. Second, I thought about how the title of the song adequately expressed the universal deliciousness of the black bean dip I had made earlier in the day. 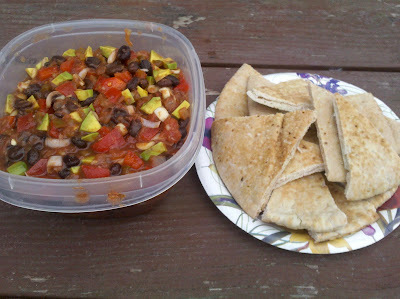 I decided to cook the black beans before adding them to the dip so they would be squishy and easier to eat. The avocado I used was not terribly ripe, but that just meant it stayed nice and green overnight in the refrigerator. We had gotten it in our CSA share the week before and I was getting impatient with it. 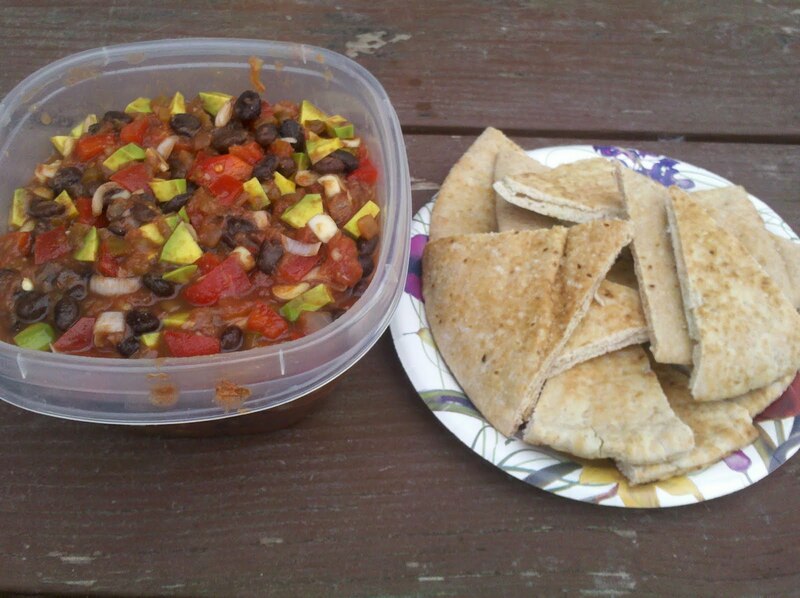 The above recipe makes a lot of bean dip. And it probably shouldn't be called "bean dip" since the ratio of red bell pepper to actual black beans ended up being pretty high. I think in the future, I'll just use half of a bell pepper. I was worried that I'd be serving it to the tune of, "When I Dip I Dip I Dip and Nobody Else Dips." But in this analogy, everyone at the picnic was glad to join in with my awkward dance moves and the dip got lots of compliments. Someone even asked, "This tastes a-maz-ing! Who made this?" I DID! I made it! Yayy! Thanks for the shout out :) That looks yummy! Epic Kale or Epic Fail? Extra! Extra! Read All About It (For Free)!